I started this tradition with my oldest child’s first Christmas. 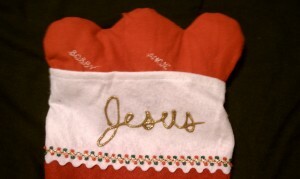 On Christmas Eve, we fill our stocking for Jesus with hearts (small felt pillows) personalized for each family member: Symbolizing the renewal of our giving our lives to Him! A great family tradition that reminds us of the true meaning of Christmas. 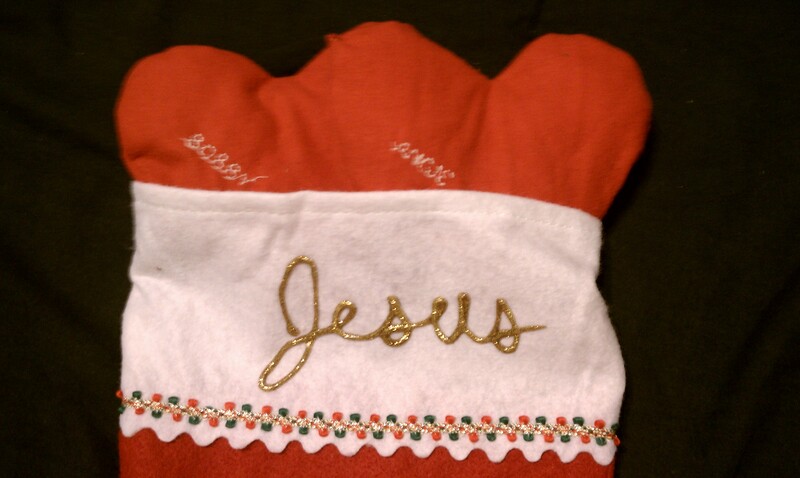 The idea came to me while in a Christian store where they had stockings for Jesus with cards to fill out… I felt this was simpler, reusable, and more symbolic for younger children. Feel free to make your own or buy stockings and/or premade hearts in our boutique. Any other ideas? Let us know so that we might share it with others! You will receive ALL credit!